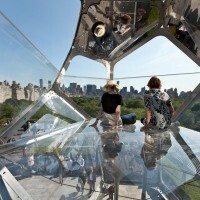 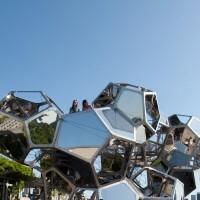 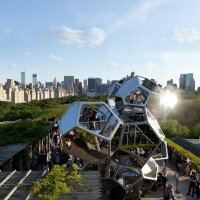 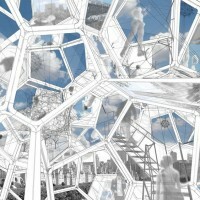 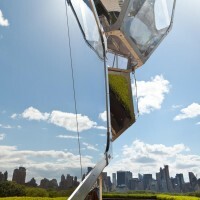 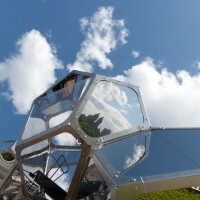 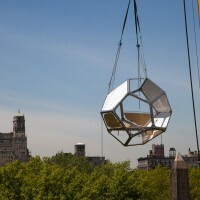 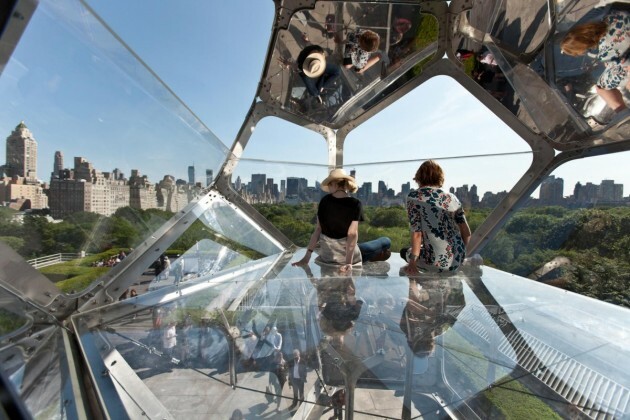 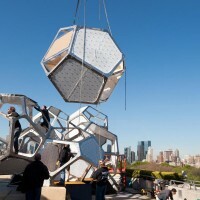 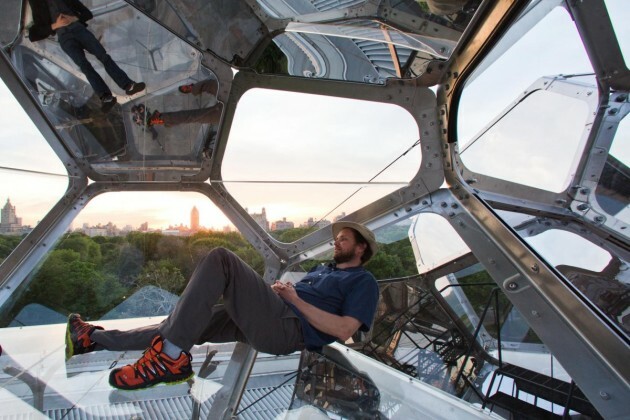 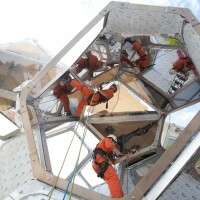 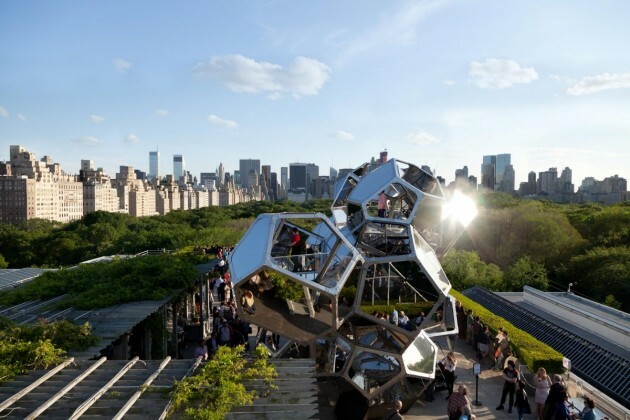 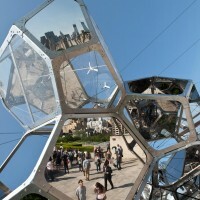 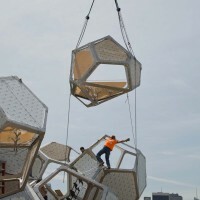 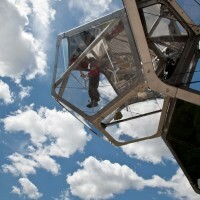 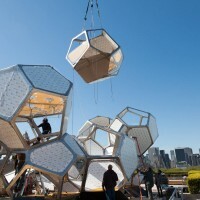 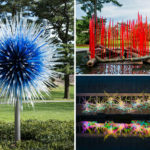 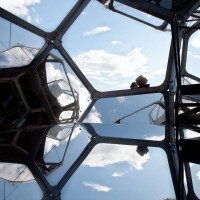 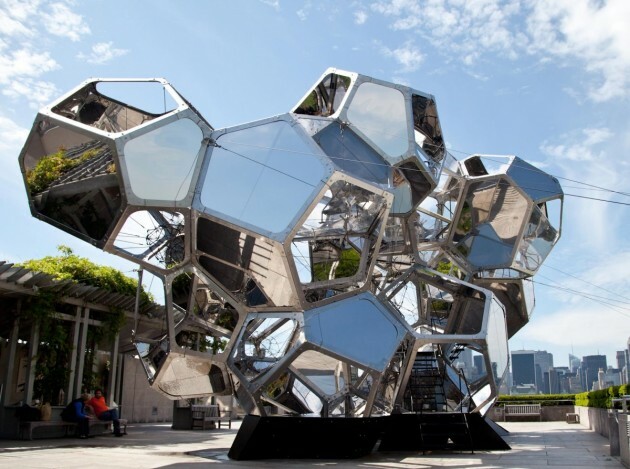 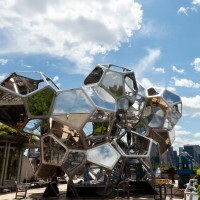 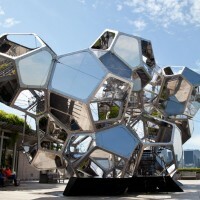 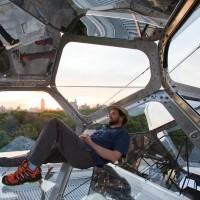 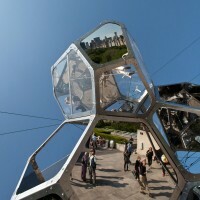 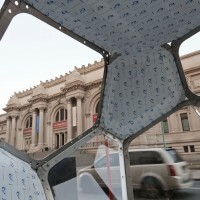 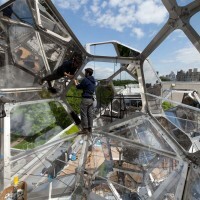 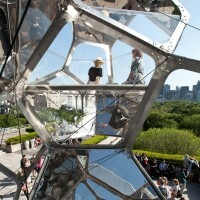 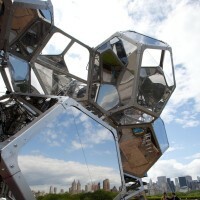 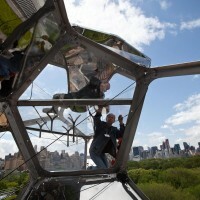 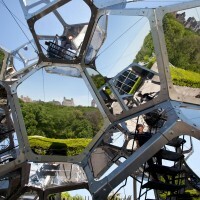 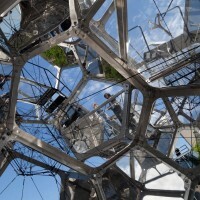 Artist Tomás Saraceno has created a constellation of large, interconnected modules constructed with transparent and reflective materials on the roof of the Metropolitan Museum of Art in New York. 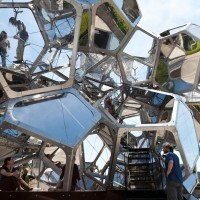 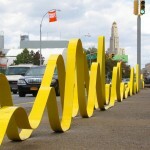 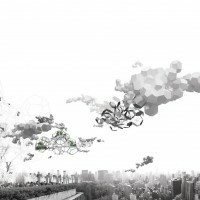 Visitors may enter and walk through the cluster of habitat-like, modular structures. 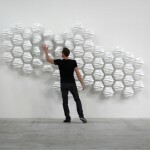 HEXI Responsive Wall by Thibaut Sld.